A floor mounted jib crane is a type of jib crane that you mount on the floor. 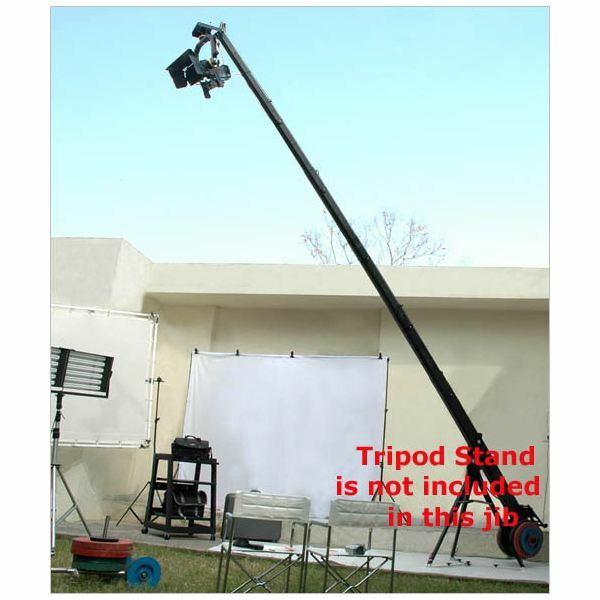 It requires floor space, of course, and it is ideal to be mounted where it can do a full boom rotation. This allows users to work on a variety of lifting and hoisting jobs even in personal working areas. This includes moving cameras in different angles and heights for filmmaking purposes. Here are some recommended floor jib crane units from Amazon.com. 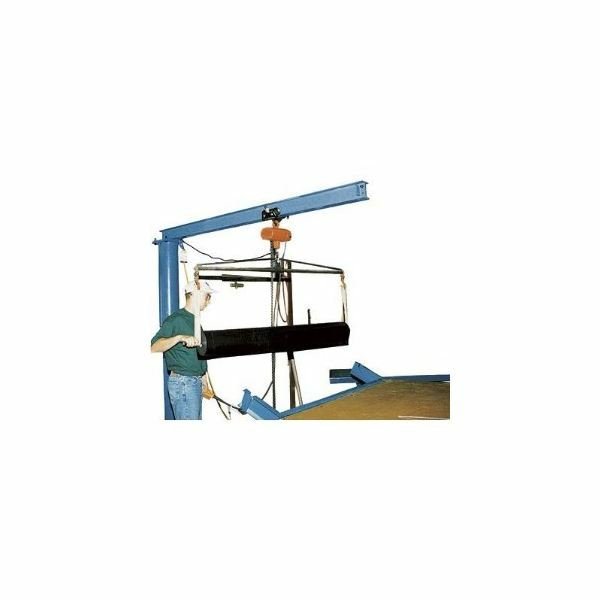 This heavy-duty industrial jib crane made of welded steel includes precision-tapered bearing. This bearing allows it a full 360-degree rotation, which makes it very versatile and ideal for many applications. It stands at 108.3 inches and has a boom length of 80 inches. For heavy duty lifting that requires a lot of rotation even in a small area, this jib crane does the job. You can purchase the model that has the lifting capacity of 2,000 lbs. for $1,399.99, the 1,000 lbs. model for $1,269, the 600 lbs. model for $999 and the 300 lbs. model for $879.99. 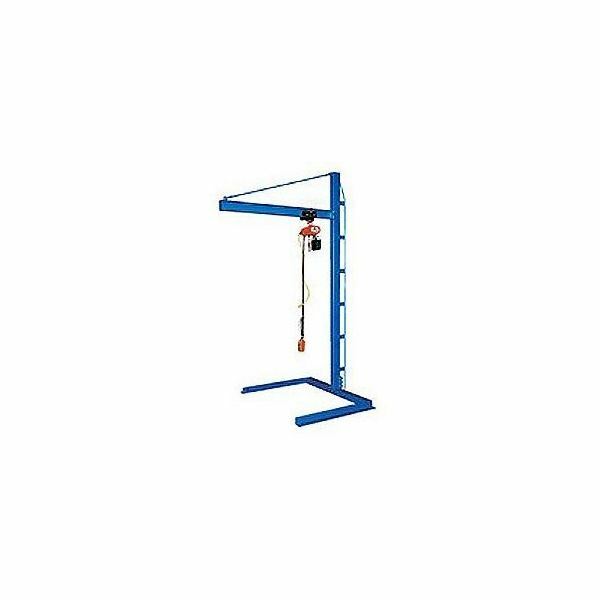 This compact industrial jib crane is ideal for minor lifting in personal working spaces. It features a manual lift that puts full control of how the crane lifts an object in the operator's hands, literally. This manual lift feature involves a hand crank that is used to raise or lower the lifting hook of the jib crane. It can handle up to 1,000 lbs. and features a telescoping boom. This means even if the jib crane is in a fixed position, it is still versatile enough to extend its reach beyond its default length. It can be purchased for $253. 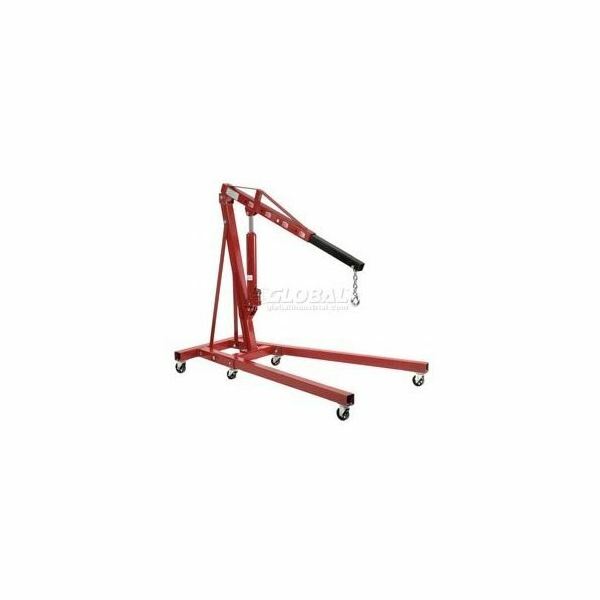 This lightweight jib crane made of high-grade aluminum is coated in black powder. It is designed to provide a versatile way of shooting scenes in an array of camera angles. It has a modular design that gives it the ability to nest within itself and telescope for close up shots. It is quite portable thanks to its modular design that lets some of its parts break off when it is time to store it. It comes with a carrying case that fits the crane perfectly. You can get it for $2,900. Its compact design allows it to be mounted in a variety of working spaces like underneath a workbench. This makes it capable of lifting objects directly from their containers as they are placed on a workbench. The 2,000 lbs. capacity model can be purchased for $737, the 1,000 lbs. model for $658, the 600 lbs. model for $519 and the 300 lbs. model for $489.95. If you need a heavy-duty jib crane for all kinds of lifting and hoisting purposes that also offers mobility, this is a great choice for you. It features a heavy gauge steel body, a manual hydraulic pump and a telescoping 4-position boom that can handle weights of up to 4,000 lbs. Its five swivel casters let you move it around wherever you want to use it or if you want to move the objects you are hoisting. You can purchase it for $269. 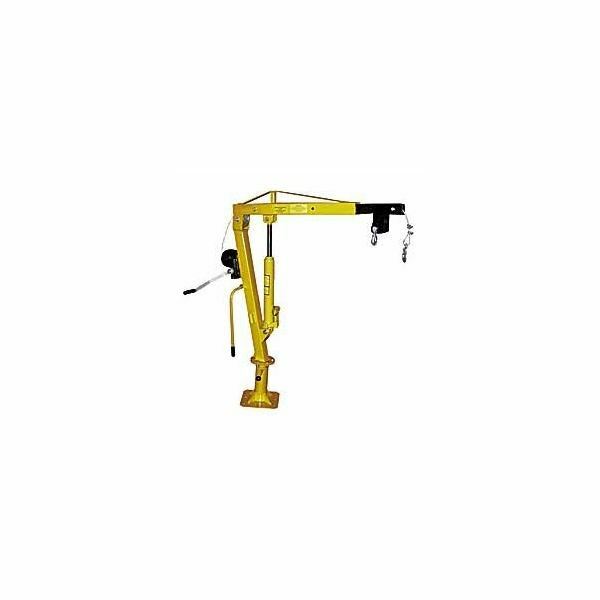 The most appropriate type of floor mounted jib crane can be determined by your needs. The usual weight of objects you hoist and the area where you work are considerations you need to take into account when picking the right jib crane for you. For filmmaking purposes, the mobility and the amount of angles you can get from a jib crane also plays a part in your choice.